I just finished reading Shoe Dog, Phil Knight’s excellent book about the early days of Nike Inc (NYSE:NKE). If Nike’s future is as good as Knight’s storytelling, I’d buy NKE stock by the boatload. 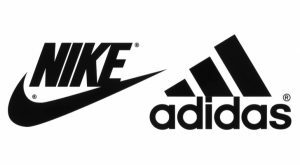 There’s no love loss between Nike and Adidas AG (ADR) (OTCMKTS:ADDYY), its long-time rival. Add in Under Armour Inc (NYSE:UAA, NYSE:UA), a relative upstart in this 50-plus-year sneaker war, and you’ve got the makings of a very competitive and cutthroat industry. Walk any street in the U.S., and you’re bound to see the product of all three companies on the feet of pedestrians. Look more closely, and you can tell who owns stock in each of those companies. The people with smiles on their faces own Adidas, a stock that’s up 22% year to date, and 23% on annualized basis over the past five years. Those with a frown on their face are Nike shareholders, given its one-year loss of 1% and five-year return of 15.5%, 7% less than the pride of Germany. Lastly, there’s no mistaking Under Armour’s sorry group, losing 27.9% in 2016 and staring down another significant loss in 2017 — off 28% year to date, despite Wednesday’s 3% pop. This war is a two-horse contest. Famous for its three stripes logo, Adidas is so confident of its future that it’s sold off its golf business for $425 million, which includes TaylorMade and Adams golf equipment and Ashworth (no relation) golf apparel, so that it can focus on footwear and apparel. Adidas paid more than a billion dollars for all three brands over the course of 20 years. The sale ends a terrible misadventure in the golf business. The fact that golf isn’t growing combined with the reality that hardlines (equipment) are a much tougher sell than soft lines (apparel, footwear), Adidas had no choice but to exit the business just as Nike did in 2016. The first thing Adidas did to take the battle to Nike was to hire Rorsted as CEO last October. He did an excellent job in the eight years he was the chief executive at Henkel AG & Co. KGAA (ADR) (OTCMKTS:HENKY). Its latest earnings report in early May suggests he’s doing the same at Adidas. But don’t think Nike’s going to take this lying down. In 2015, Nike CEO Mark Parker boldly stated that the company with the swoosh would hit $50 billion in revenue by 2020, a mere five years away. It turns out Nike can also play the prediction game. The argument it makes against Nike meeting its target is simple math: Nike took 13 years to grow revenue from $10 billion in 2002 to $30 billion in 2015. That’s a compound annual growth rate of 8.8%. Nike’s new goal assumes a growth rate of 10.8%. I believe that the addition of Rorsted at Adidas makes Nike’s goals tougher, but not impossible. That’s primarily because Under Armour’s failing to keep pace under the weak leadership of founder and CEO Kevin Plank. Nike and Adidas are simply going to undercut UA on price until it can no longer make money competing against the two giants of the sporting goods industry. At that point, they’ll just divide up the market share taken from Under Armour. In the meantime, while skeptics question Nike’s ability to grow to $50 billion, it continues to deliver strong earnings — up 24% in Q3 2017 — which is the most important catalyst for rising share prices. Adidas might be winning the skirmishes taking place in the here and now. Long term, however, I see Nike’s culture winning out. It’s not going to be easy, but if there’s anything I’ve learned from reading Phil Knight’s book, the people in Beaverton are a resilient bunch. That said, if you want to own Adidas stock, it’s a better idea than Under Armour, at least while Kevin Plank is still CEO. Article printed from InvestorPlace Media, https://investorplace.com/2017/06/nike-inc-nke-stock-will-outlast-the-adidas-ag-adr-addyy-onslaught/.